Priced to Sell Now....rare opportunity for a very private premier lot adjacent to reflection pond park in the exclusive guard gated community of One Ford Road. Largest floor plan with over 5,100 sq. ft. As you enter the grand foyer the light infused open floor plan of this four bedroom residence is adorned with stunning hardwood floors, crown moldings, wainscoting, custom lighting, built-ins and the finest of details. A gourmet chef's kitchen opens to a large family room and casual dining area, featuring stainless steel appliances, walk-in pantry and an oversized quartz island. All four bedrooms, including one on the main level are ensuite. Further complementing this grand estate is an office, media room and/or fifth bedroom option, Savant Home Automation and security camera system. The spacious master suite with fireplace has an adjoining retreat. An oversized luxurious master bath provides spa-like features with a dual head walk in shower, vanity, jacuzzi tub and large walk-in custom closets. Enjoy the best of outdoor living with private dining by the fire, relaxing in the oversized spa or entertaining by the built-in BBQ. 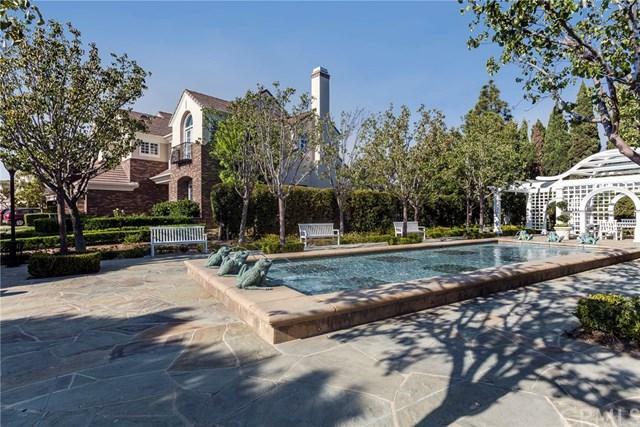 The amenities of this sought after neighborhood include two pools, state of the art fitness center, clubhouse, putting green, croquet, sport courts, BBQ area and playgrounds. 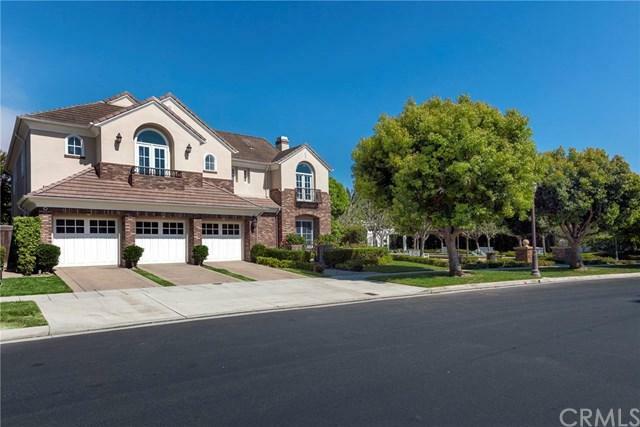 Conveniently located near award winning schools, John Wayne Airport, freeways, shopping and Newport beaches. Truly a must see+G-. Sold by Brad Hinman of Compass.